Need a sleeper sofa or sofa bed to save space and accommodate sleepovers? Here’s the top 10 list of the best sleeper sofas and sofa beds in 2019. When you need more than a couch, you turn to sleeper sofas. They are great because they are multi-functional. And they are irreplaceable in small spaces. You can have visually appealing seating to accommodate guests, and at the same time, they can double as beds when you have sleepovers. Here’s our top 10 list of the best sleeper sofa or sofa beds. When researching them, we made sure that they were not only well built, sturdy and easy to use but attractive in their design too. Bringing one of them home you will not damage your decor, and you can choose the style to fit. We have updated this list for 2019, so you can be sure you’re choosing from the latest options. This sofa is one of the biggest bestsellers. It’s a futon, but it has all the qualities of a good sleeper sofa. It will fit even the smallest living rooms and still provide plenty of seating space as well as unfold into a roomy sleeper at night. The sleek modern design will fit in your decor perfectly especially if you’re going for the minimalist look. It’s also one of the most affordable options out there. This sleeper sofa is as functional as they get. Not only it unfolds to a roomy sleeper; it has built-in storage and a chaise. As a sectional sofa, it is quite compact and will take up reasonable space in a small room. The light linen fabric upholstery makes a neutral but attractive design that will blend in your room’s decor. 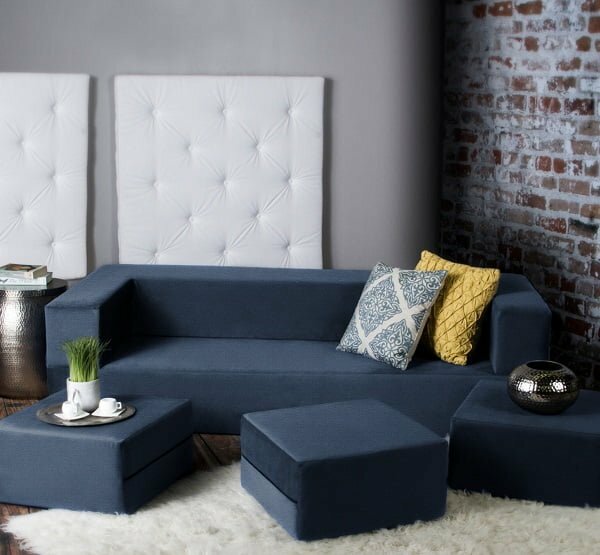 This sectional sofa is quite bulky so it may not be the best option for most small living rooms, but if you can afford the space, it’s very well worth it. You can place it in a corner or in the middle of the room to divide the area. The sofa provides plenty of sitting space for quite a crowd to gather and it comes with a sleeper mattress which unfolds to a full sized bed. It comes with three accent pillows and aims for a contemporary neutral design that will blend into your decor seamlessly. 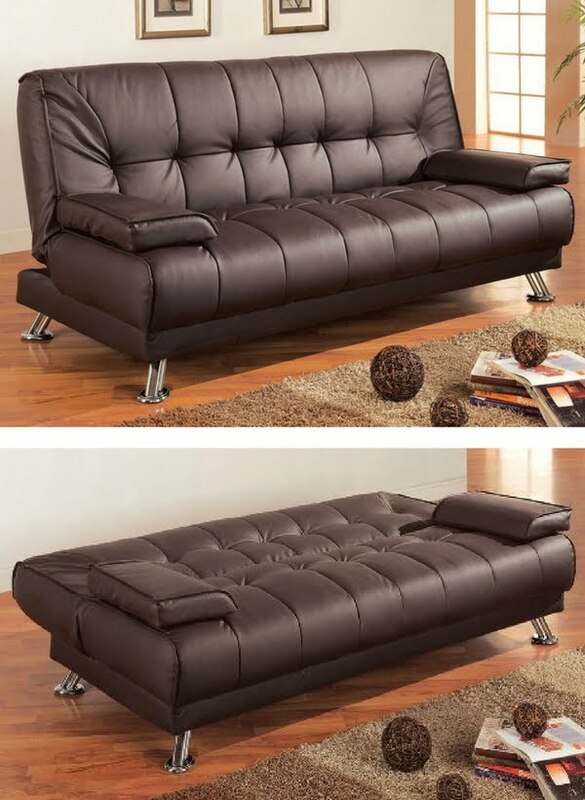 The Coaster futon sofa bed goes for the more sophisticated look with its bulky design and imitation leather finish. It is quite bulky, so it will require enough room space to spare, but its design is its key feature. As any sleeper sofa, it opens to a bed as you would expect it. Overall, it’s not the most functional or practical sofa on the list, but if you’re going for this look, you will love it. We always include something for those of you who like unique design furniture and this is one of those times. This big bulky sofa is as comfy as it looks and it looks quite unique, especially if you’re going for a rustic style in your decor. The frame is made from solid wood as are the legs, so it’s as sturdy as it is visually appealing. 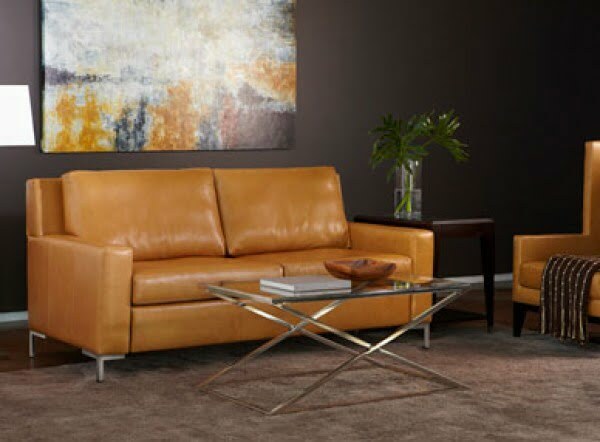 It features microfiber leather-look upholstery with tapestry cushions. The Zipline convertible sofa is one of our all-time favorites for many reasons. First of all, being so compact it is very functional and roomy. It doesn’t take much space and fits even small rooms. The chic look and a choice of cover colors will make it work in almost any decor style. It unfolds into a king-size bed or a lounge day bed. 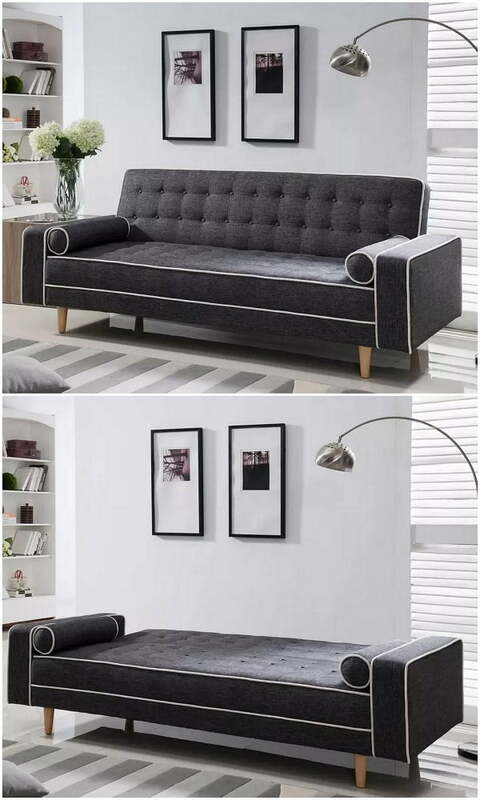 We love this sofa bed for its versatility and style. There are many uses in different rooms of a house for it. It will work as a couch in a living room, in a playroom or teenagers room. Any doubts? It is quite low (4 inches lower than an average chair) and can be a bit to snug for a tall person. Other than that it’s a great sleeper sofa for a reasonable price. 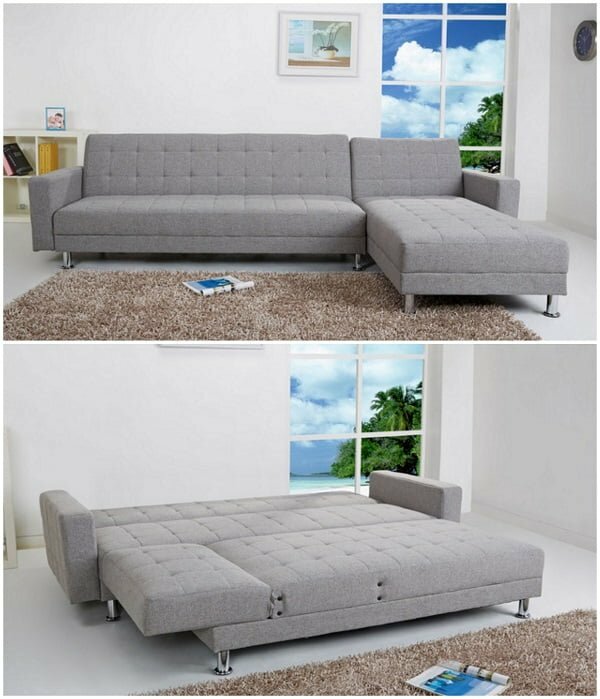 The Frankfort sectional sofa bed is a sleek and modern addition to your home. If you’re looking for a roomy but compact sleeper sofa that can double as a queen size bed for your guests, this is an affordable option to consider. It’s very sturdy and comfortable. We like its clean, modern look and versatility. The only drawback that we can mention is a rather slim depth (though it’s alright in most cases). Mid-century style gives that airy look with the thin elevated legs of this sofa, and it’s perfect for a small living room. The design itself is attractive with its subtle lines emphasized by a white border. It is just as functional, unfolding into a sleeper easily and quickly. Stylish, affordable and straightforward – often that’s all it takes. This sleeper sofa has a formal look to it, but it may be precisely what you want if you’re looking for a sleek modern design. It is quite simple in its construction but it does the job, and that’s all you need from a decently affordable sofa that makes a great option if you’re on a budget. It features elevated metallic legs, polyester upholstery, and of course a frame that converts into a bed. The timeless look that blends in your decor, space-conserving design and a queen size mattress that unfolds from this sofa aren’t the only things that make it great. It features a hand built frame and hand finished upholstery which ensures only the highest quality. The wide variety of fabrics you can choose from is only the icing on the cake. Disclosure: We are a participant in the Amazon Services LLC Associates, Houzz Inc., Etsy Inc. affiliate advertising programs designed to provide a means for us to earn fees by linking to Amazon.com, Houzz.com, Etsy.com and affiliated sites.